We love to pamper the girls and that is why we set out to create a dream closet, or as we call it, the Style Closet. 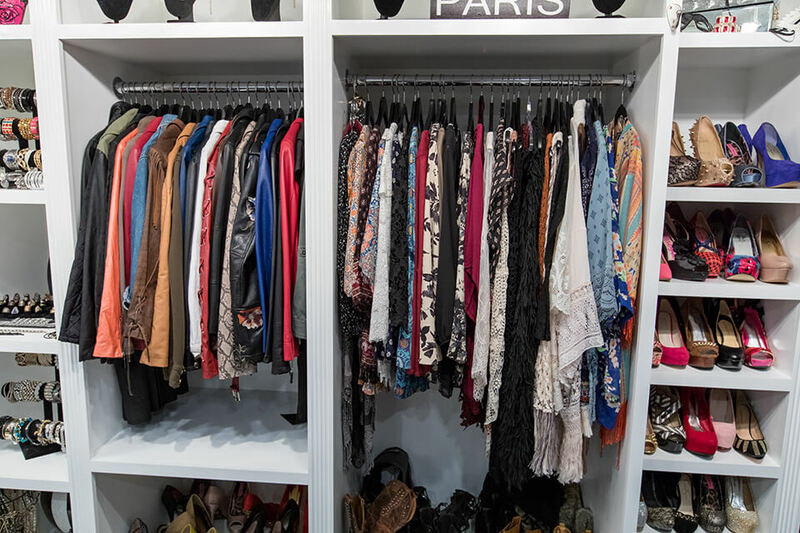 Located in our luxurious dressing room, the Style Closet is home to richly embellished couture gowns, trendy fashion pieces, shoes, jewelry and other accessories. 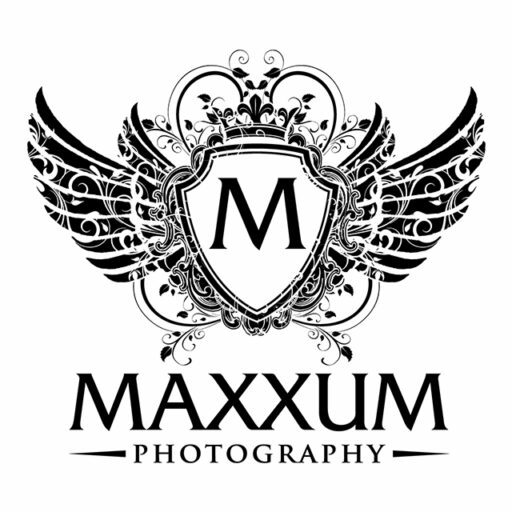 It’s all there for our clients to wear, if they choose, during their Ultimate Senior Portrait Experience. During your pre-session consultation, you will get to “shop” the closet and see what you might want to incorporate into your session day fashion choices. Styling assistance is included in your session with us and Mom’s particularly love the help we provide! They comment all of the time on how they love that we take all of the stress out of preparing for the session knowing we are here to help and have everything taken care of. We do it all at our studio, from the hair and makeup to the styling and fashion help. There’s no running around all over town to get ready. Just show up and relax. We got you! 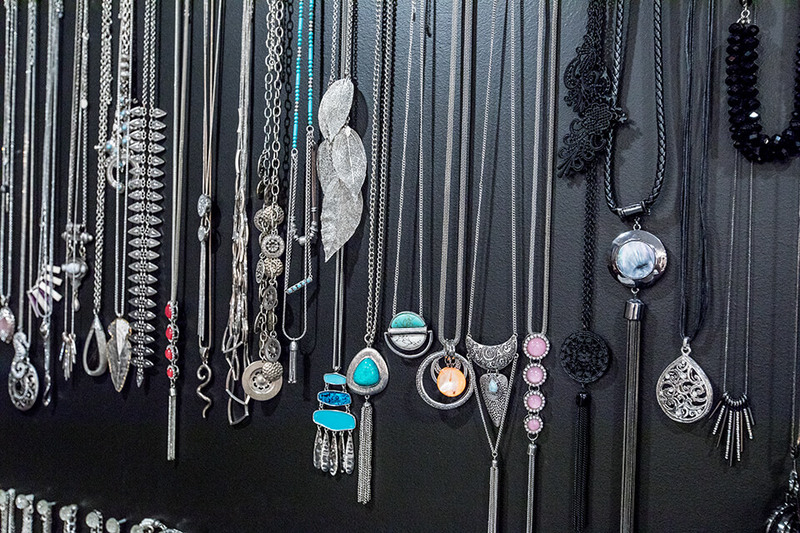 We have over 150 necklaces, 90 pairs of shoes and boots, floppy hats, hand crafted floral crowns, and so much more. While getting ready, you’ll sink into the plush black carpet (we get lots of compliments on it) and get to see how fabulous you look in the elegant, 7 foot tall leaning mirror. Yes, you can take as many selfies or snaps that you wish while at our studio. Naturally you want to show your friends what you are getting to experience!